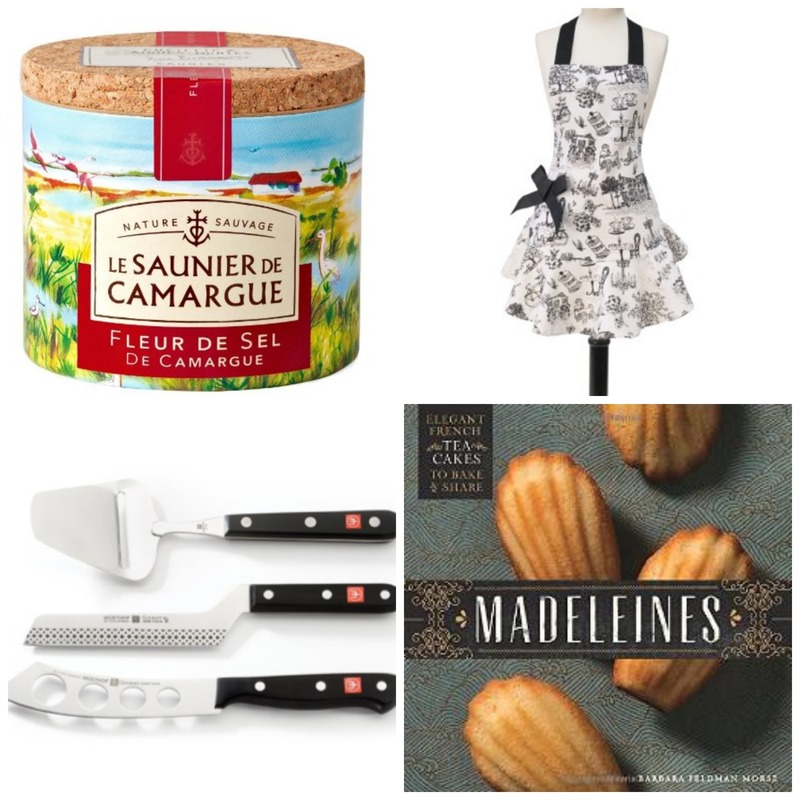 Here is my list of hand-picked gifts for your favorite cook, Francophile, or food lover. Rest assured, I’ve kept the list short and sweet—and everything here is something I personally love. Happy shopping! Note that prices may have changed since I first wrote this post. Happy shopping! Enjoy a little German craftsmanship with your French cheeses with the Wusthof Gourmet 3-Piece Cheese Knife Set with Cheese Board ($99.95). I especially adore the soft-cheese knife–it’s the one with the holes in in the blade. Use it for washed-rind and bloomy rind cheeses (like Camembert, Epoisse, et al. ); the cheese won’t stick to the knife. The offset knife is stellar for cutting firm and semi-firm cheeses, while the cheese plane lets you cut those ultra-thin slices from favorites like Comté and Gruyère. 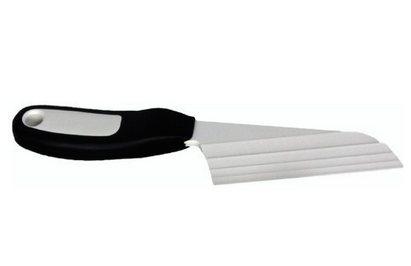 PS: If you want, you can just purchase the Soft Cheese Knife ($89.95), my favorite of the three. It would be a lovely gift for the cheese-lover in your life. But frankly, for $10 more, I’d go for the set. Braising is a “low and slow” cooking method for transforming less-expensive cuts of meat into rich, succulent meals. Coq au Vin, Boeuf Bourguigon, Blanquette of Pork, Osso Bucco are all braises, as are a slew of great everyday recipes, like pot roast and beef stew. With its tight-fitting lid, wide base, and shallower-than-a-Dutch-oven sides, the braising pan is simply the best choice for this cooking method. Whether you choose a Staub or Le Creuset pan may depend simply on which color you like best. Staub comes in a rich red or deep green color; Le Creuset’s colors are legendarily varied. Both would make inspiring additions to the French-food-loving cook’s kitchen. Le Creuset Enameled Cast-Iron 3-1/2-Quart Round Braiser. Pictured above, this size is perfect for recipes that yield 4 to 6 servings. Currently, it’s on sale for $269.95 (regular price: $360). Staub Enamel Cast-Iron Braiser . Pictured at right, this pan holds 4-quart, so it, too is perfect for recipes that yield 4 to 6 servings. ($350). It’s a beauty, from Alsace. Le Creuset Enameled Cast-Iron 5-Quart Round Braiser. (Not pictured here). Those who entertain often will appreciate this size. I use mine when making recipes for 8 or more diners. Currently priced at $314.95 (suggested retail price is $420). If that’s too spendy, scroll below for info on the Lodge Braiser. By the way, these babies are great for cooking many of the French soups, stews, and braises we love in winter. You’ll be seeing more and more French slow-cooker recipes from me in coming weeks. I bought this cute Jessie Steele Café Toile Apron ($14.99) a few years ago, and I always get compliments on it. I wear it to dress up denim jeans and a black turtleneck for my casual gatherings. It’s also cute enough to slip in and out of when you’re wearing that little black dress for your more stylish gatherings. The bow—which I found a little too cute for my tastes—is attached with a safety pin and easily removable. Also look for other Jessie Steele Aprons for Women . Great gift idea: Combine this gift with a great French cookbook….hmmm, I wonder which one….Well, I might have a suggestion! True, the Lodge Color Enameled Cast Iron 3-Quart Covered Casserole (Braiser) is not made in France, but it’s designed by a time-honored American company (Lodge, which has been making cast-iron cookware for over 100 years). So, if you don’t want to splurge for French pedigree with the Staub or Le Creuset, I can recommend this braiser. It’s made of enamel cast-iron, just like the French pans; see my review for more information. (PS: This company doesn’t call it a braiser; instead it’s referred to a the Lodge Color 3-Quart Casserole, but take my word for it–it’s a braiser!). PS: For some reason, the Blue braiser is less-expensive ($64.99) than the red casserole ($73.90). This book is a must for anyone who, like me, loves braising meats. The recipes are amazing–they show you how to take inexpensive cuts of meat and transform them into bold, full-flavored dishes that are great for winter. I can’t recommend this book enough! (PS: For a taste of her recipes, check out my adaptation of her Top Blade Steaks Smothered in Mushrooms and Onions. I’ll say it again: David Lebovitz is the New York Times of French food bloggers. 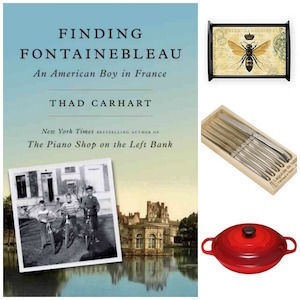 Not only is his food amazing, but he is also pretty hilarious: He take on life in Paris runs the gamut–his stories point out both the joys and annoyances of his life in Paris, with wit and insight. His photography is compelling, and his recipes always reveal plenty of a-ha moments. (In a way, he’s also the “Cooks Illustrated” of French cooking!) 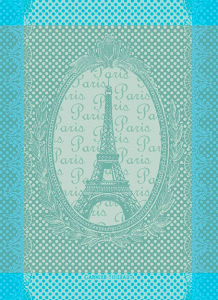 Another highly recommended tome, and a great gift for your favorite Francophile. Do you—or does someone you know—own a Madeleine pan? I do, and I must admit I don’t use it as often as I’d like to. Frankly, I just don’t have that many occasions to serve little French tea cakes, even though I love them. PS: If you are in the market for a Madeline mold, the author of this book recommends nonstick molds. I found a great one on sale at Amazon: Bellemain 12-Cup Nonstick Madeleine Pan. As of this writing, it’s on sale for $10.50 (regular price: $19.95). 8. Small Silicone Spatula—Great for Crêpes and French Rolled Omelets! Tuck the Le Creuset Small Silicone Spatula ($11) into a Christmas stocking (or tie it into the ribbon of a larger gift). The flexible top end gets right under a crêpe so you can loosen it perfectly and flip it like a pro. I can’t make crêpes without this cutie! PS: If you’re not sure your recipient will know what to do with Piment d’Espelette, print out a copy of my recipe for Pipérade, and give it alongside the gift. Pipérade is a beautiful sweet pepper and tomato side dish that goes beautifully with eggs, fish, and chicken. I once interviewed chefs about why they love Fleur de Sel; “You can taste the sea in it!” said one. “It tastes more ocean-y,” said another. Indeed, Fleur de Sel, a natural, flaked sea salt, really does something remarkable to foods. It’s a great finishing touch, but I also simply love sprinkling it on meats before roasting–I love the way it won’t entirely melt into a roast chicken, for example, giving a little bit of texture and pop of flavor to the bird. 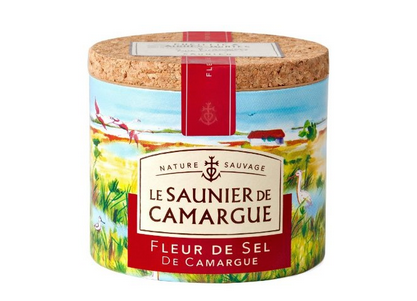 Le Saunier De Camargue Fleur De Sel Sea Salt ($10.99) is the brand I always put in my suitcase and bring back from France. I especially like the pretty packaging (here’s a great resource about packaging). 11. A Fish Spatula–good for so much more. I first discovered this Wusthof Silverpoint Fish Spatula ($19.99) in the kitchen of a great French chef. Since then, I’ve noticed that every chef I know owns one (it’s called a “fish spat” in kitchen lingo). And bracket the word “fish”—you’ll use this for everything from lifting delicate cookies off sheets, to gliding under that fried egg for the perfect flip. The ultra-thin, slightly sharp edge lets you smoothly slip beneath the food, and those long, narrow slots work two ways: They allow fats and oils to drip away, while distributing the tension of the load, preventing even the most delicate food (like fish) from breaking apart. How did I live without this? It won’t win a beauty contest–but it will keep those soft French cheeses from sticking to your knife! It might not look like much, and it doesn’t cost very much, but for cheese-lovers, this Cheese Knife with Unique Patented Blade ($13.76) can be one of those “How Did I Ever Do Without It” kind of finds. The patented blade “slices through cheeses like it were melted butter,” says one satisfied customer. However, it’s meant for soft cheeses (so don’t use it for Parmigiano-Reggiano!). It’s beauty is in the way that it keeps those soft cheese from sticking to your knife. If I were giving this as a gift, I’d probably pair it with a lovely washed-rind or bloomy-rind cheese. Enjoy! Please note that any purchase you make through links on this page will help support my website—and it won’t increase your costs whatsoever. Add one, two, or a few of my items to your cart and keep shopping, if you wish—I’ll get a little credit for anything you buy when you get to Amazon through one of my links. Thanks so much for supporting Chez Bonne Femme. Thanks for taking a look at my Food Gifts; even if you don’t care to purchase anything, I thank you, above all, for being a valued reader of Chez Bonne Femme. I would love to receive the french braiser or the cute toile apron. Actually any gift from your boutique would be tres bien!! I would love to get “your favorite slow cooker” now that you are providing recipes! Also like that you can fry/brown before slow cooking. 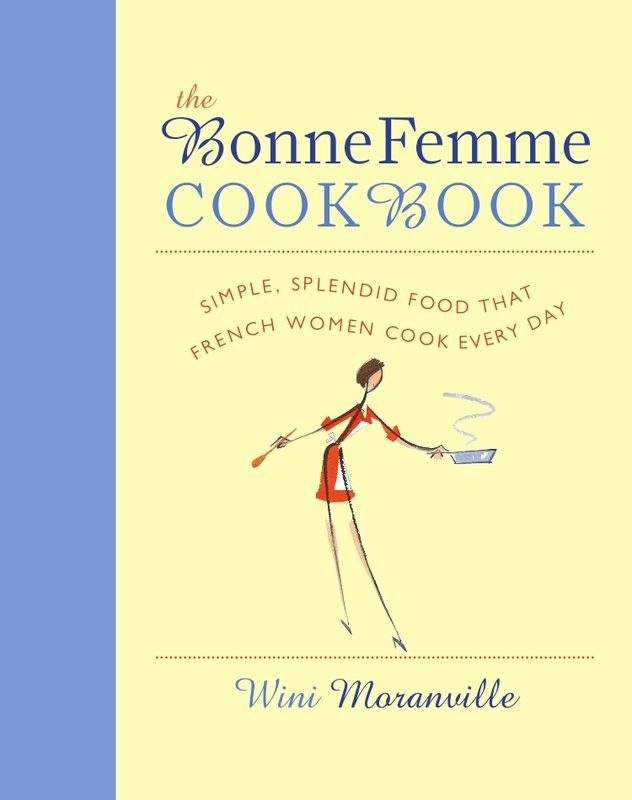 I have your wonderful Bonne Femme cookbook but wouldlove a signed copy to give to my daughter!! Love your blog and all your recipes. My husband I both agree that your recipe for coq au vin (rapide) is the best we’ve had. The Le Creuset Braiser would be an amazing gift!!! I would LOVE that French braiser!! fleur de sel is just so perfect — as a hostess gift AND for so many things at home!!! Fleur de Sel is my pick. Thank you for sharing your list of things you own and love. I would love to receive a braiser! How about all of the above? If I had to pick just one, it would be the Chez Bonne Femme Cookbook. And just in case, the Fleur de Sel de Camargue too! I do own a Madeleine pan but I have never used it so the Terrific New Madeleine Cookbook will go on my Wish List too. All of these items would be amazing to receive…I do love the apron. Thanks so much for this giveaway. I would love a cast iron braiser (cassarole), the apron, your book, a Madeleine pan and the new Madeleine cookbook. They’re all going on my wish list!! Thank you for sharing all of your gifts with us ~ written, experiential and inspiration! Totally love the French cafe apron for entertaining….though I my “grubby old apron with burn holes,” gets plenty of use for everyday cooking, too! That gorgeous French braiser would be perfect for several of the cooks on my list (including me!). I would like the Fleur de Sel if I am selected. Lodge Braiser — I was the winner of your book at our Iowa Blogger meet up so I will gladly send mine on as a gift! I LOVE the slow cooker—it looks like a great one! I will have to put that on my own wish list!!! Thanks for such a great list of fun items to check out! What a great list! I would love any of the items you shared! The apron! I love aprons. I would love to win one of the braisers! My other choice would be the Cuisinart slow cooker. Ooh. Any of the braisers (even though my spellcheck rejects the word). I would love the Lodge braiser. 🙂 Merry Christmas Wini! What a beautiful wish list to choose from!! First I’d love that signed cookbook so all fingers crossed. Any of the cast iron braisers would fit perfectly in my stocking. Two years ago my collection began with the Lodge 8.5 quart … no one could believe my thrill of receiving a “pan” for Christmas. It was the best gift ever! Good luck to all, and Merry Christmas. I am quite partial to any of the dutch ovens you referenced, especially the Le Creuset. If I win the cookbook, please give it to my beautiful friend Debbie above who has introduced me to so many great recipes. I would love any one of the braisers! Thank you for this fabulous give-away. Merry Christmas to you and yours! I have most of your gift ideas above (including my favorite, your cookbook), but would like to have the Wusthoff cheese knife set. I hope I win the cookbook so that I can give it to my son! I would love the Wusthoff knife set! I would love to find either of the braisers under my Christmas tree! I’ve read so much about using them lately, that my interest is piqued! I must try one! My wife spent a lot of time in France, and just loved everything about it! We have been slowly adding more and more decor to our home, inspired by France. Her birthday is coming up and honestly any of these would make great gifts that she would love. Since we are both big fans of cheese, I think number 1 on the list, the cheese cutters, will be a big hit with her!